This year, the hiking trails in Phoenix unexpectedly had a shortage of wildflowers. Trails that in the past would be lined up with bright yellow poppies exploding from the desert dirt were completely bare. But that doesn’t mean our beautiful desert will disappoint us. 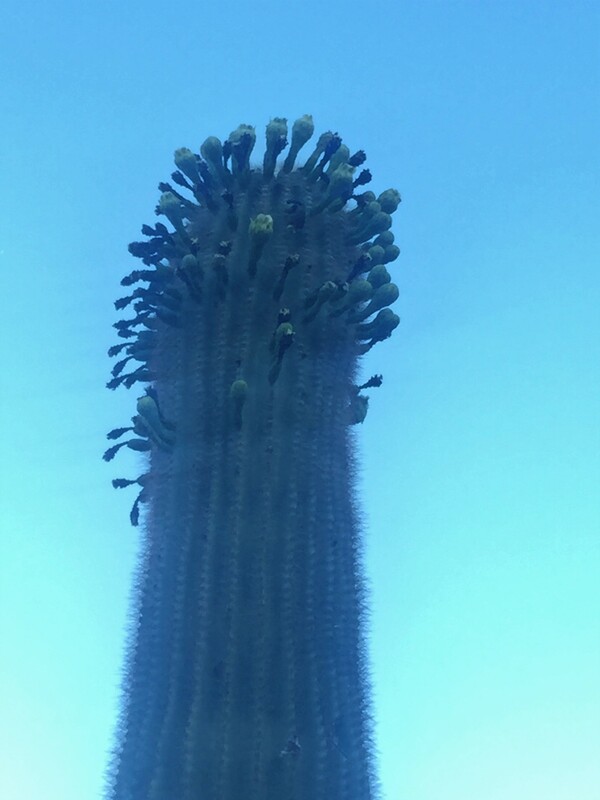 I don’t know if you’ve noticed or not…but almost every single saguaro cactus out there seems to be blooming. And not just blooming, they are MEGA blooming! Maybe it’s just us, but it seems like it’s more than normal. Is this our deserts way of making up for the lack of wildflowers? We’d like to think so. 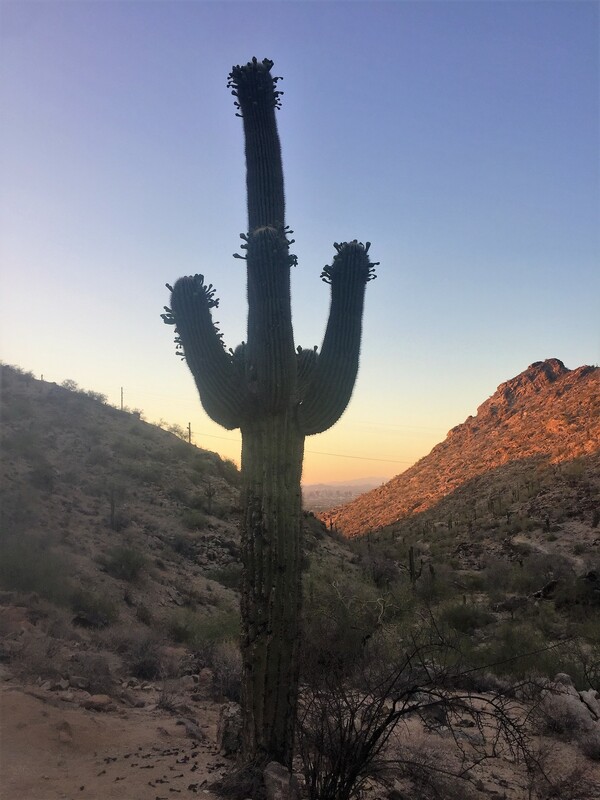 We recently hiked Kiwanis trail on South Mountain, which is one of the greatest wildflower trails in Phoenix. 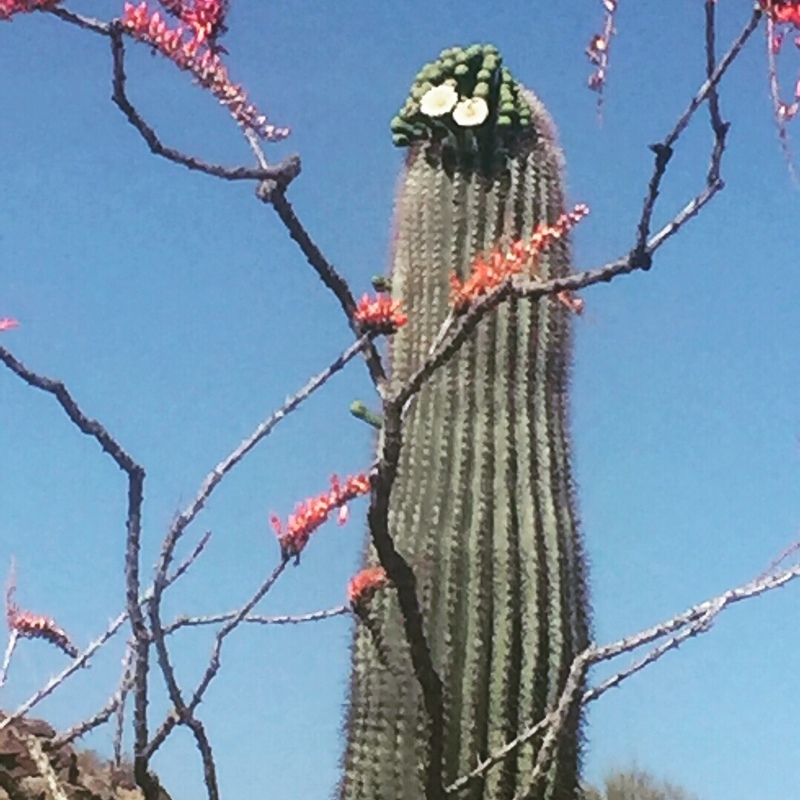 Although we saw no wildflowers, the saguaros are full of flower buds awaiting to be bloomed. The only question now, is when will they bloom?! 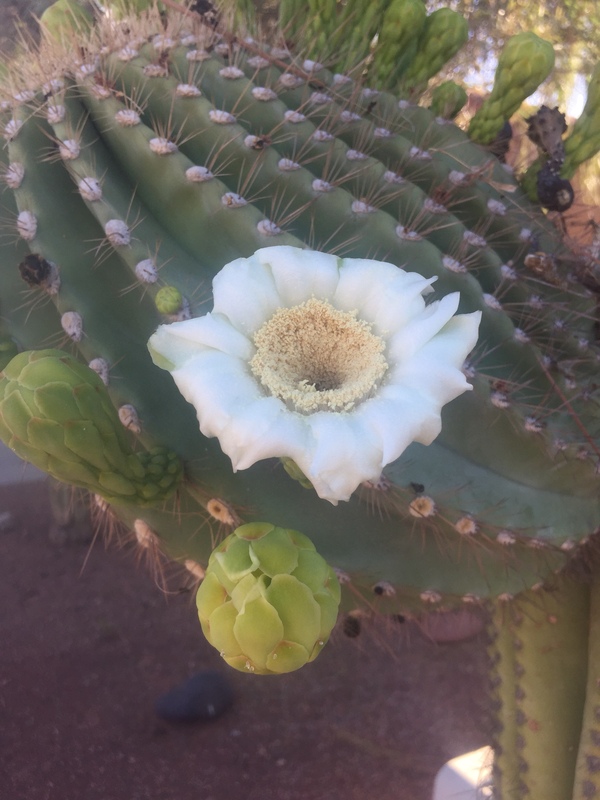 Saguaro cactuses bloom during the night and once opened, will only stay on the cactus for about one day. So, when you see them bloom, grab the camera quick, cause it likely won’t be there the next day! So if you’re looking for an easy and short hike with some views of flowers, try out Kiwanis on South Mountain. Those flower buds have to bloom at some time! So why not hike around until you hit the magic time!